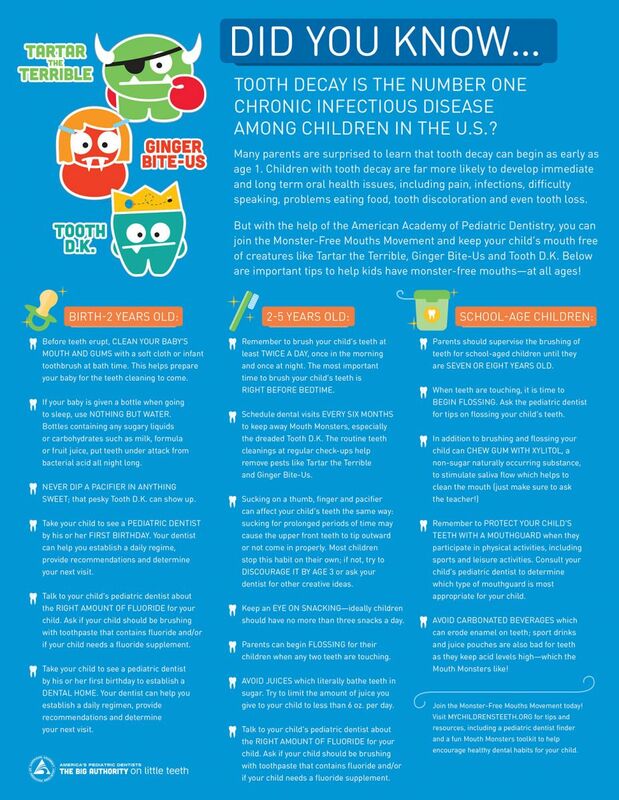 Tips for Parents - Tooth decay is the number one chronic infectious disease among children so focusing on prevention (ie good home oral hygiene) is key to keeping away the cavities. 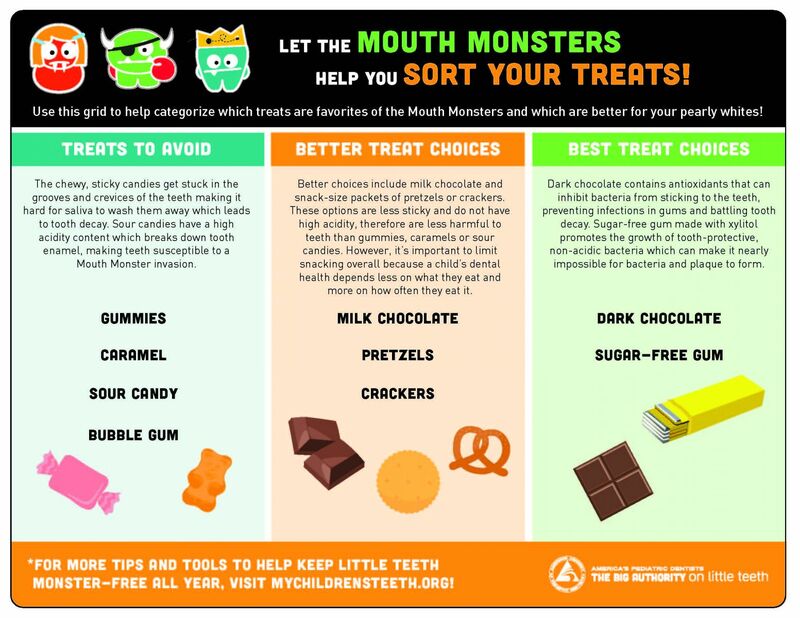 Halloween - Trick-or-Treating is fun but remember to make the best treat choices for healthy teeth. Holiday Habits - The holiday break is a great time to help your kids establish and maintain healthy dental habits. Tooth Trauma - Active kids are susceptible to tooth trauma so use this highly-visual, easy-to-follow guide so family members, coaches, and babysitters know what to do should a tooth be chipped or knocked out. Our Ada Pediatric Dentistry team strives to improve the overall health of our patients by focusing on preventing, diagnosing and treating conditions associated with your child's teeth and gums. Please use our dental library to learn more about dental problems and treatments available. If you have questions or need to schedule an appointment, contact us.